Since starting my Ketogenic Experiment (don't worry, I'm still on THM, just trying this whole keto thing out for 60 days) one of the things I've been missing the most are Cinnamon Rolls. We went to the mall the other day, and I swear the amazing smell from the Cinnabon stand filled the entire mall – and we were on the opposite end of the mall from the stand! I was going to create a Keto Cinnamon Roll in a Mug. Now, I had the basics from my time spent creating some of the amazing mug muffins from the Trim Healthy Mama Cookbook such as the Volcano Muffin, Strawberry Muffin, and Peach Muffin. So I experimented, and subjected my poor husband to mug muffin after mug muffin, until I finally landed on the the perfect combo of ingredients+ cooking time! One note: I prefer recipes a bit sweeter than a lot of people do. So feel free to back the sweetener off a bit if you don't have a fiery sweet tooth like I do! Also, I am a Cinnamon fanatic, so feel free to cut the Cinnamon in the recipe in half, if you're not. 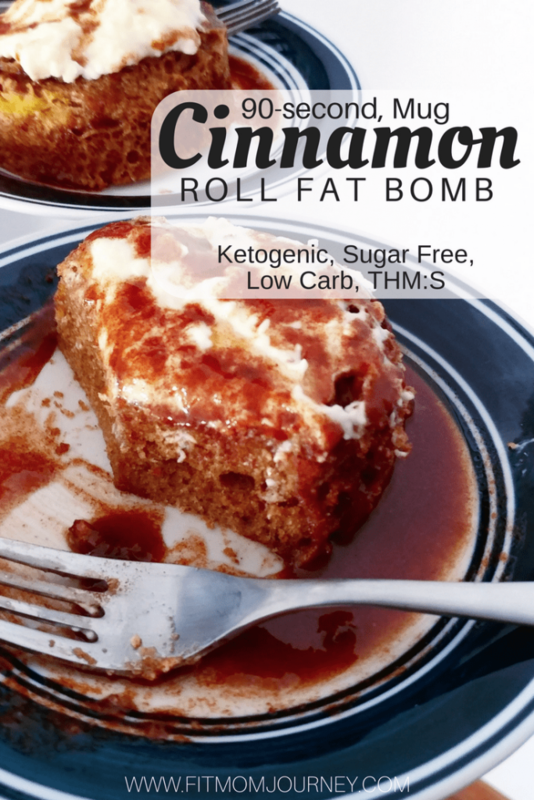 My Keto Cinnamon Roll recipe is a THM:S, Ketogenic, Low Carb, Grain Free, and Gluten Free. Before we get into the recipe, if you are new to Trim Healthy Mama, I highly encourage you to read my Trim Healthy Mama 101 post. This will get you started with Trim Healthy Mama, introduce you to some of the terms I use, and help you enjoy food freedom while keeping confusion to a minimum! Melt 2 T of butter in a large mug or small Pyrex dish (like in the pictures above. Add in the Almond Flour, Baking Powder, Cinnamon, Truvia, Egg and mix well. Microwave on high for 90 second. The mug cinnamon roll will puff up, but don't worry - it won't spill over! When the microwave beeps, use a fork to loosen the cinnamon roll (it will have pulled away from the sides, so focus on the bottom) then flip onto a plate. Melt the butter for the Butter Glaze, then add the Cinnamon and Truvia to it and mix well. Pour the glaze over the mug cinnamon roll for added sweetness, texture, and moisture. In the mug or Pyrex bowl, microwave the cream cheese for 30 seconds on half power, or until you hear the cream cheese start to crackle in the microwave. Add in the ½ T Truvia and mix well, then top the Copycat Cinnabon with this cream cheese "icing"
Whip this Keto Cinnamon Roll up in less than a minute, microwave it for 90 seconds, and enjoy! 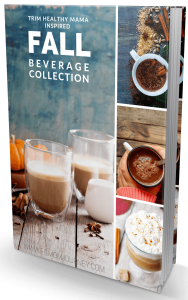 Get my Fall Beverage eBook! All THM-friendly drinks, hot and cold! « Still Searching for the Perfect Fitness Plan? What if you don’t use a microwave. How can you do it in the oven? 15 to 17 minutes at 350. These are the best! This recipe looks utterly amazing, but I don’t have a microwave in the house. Do you know, or have you tried this in the oven? Suggestions for what temp to try if using the oven rather than the microwave (we don’t have one)? I’ve seen a similar version of this and it’s yummy. It is a lot of calories but if I have it in the morning, it keeps me full all day and I am not wanting to eat anything else until dinner. I haven’t tried the butter sauce, which is the ingredient that makes Cinnabons unique. Thanks for the great idea! JUst made this and it was so good! Exactly what I needed to pinch my craving! Oh my WORD! I don’t like bakery made with almond flour, but I was having a weak moment tonight. I was feeling the farthest from content after eating today and REALLY craving something sweet and chewy and gooey. That’s when all the dessert posts come out on Facebook, right? Well, someone shared your recipe for the cinnamon rolls and I said to myself I said “Self! You have all of these ingredients and it’s better than eating something made of pure sugar (like the Thin Mints and whipped cream that’s in the freezer), and husband doesn’t deserve to have his head bitten off just because you are being a CRANK!” And I made them, and all is now right with the world. 5-star for minimal ingredients, quick timing, easy directions, and TASTY! I don’t use a microwave as it alters the melecular structure of anything “zapped” (that’s why it’s referred to as “nuking”). Do you have oven time & temp? I know that this won’t really make you change your mind, but, as a chemist, I had to comment on this, Microwaves are just a different frequency of light. We are exposed to visible light all the time. UV light (higher frequency than visible light) is what causes sunburns. At the higher frequencies, light can cause bonds in molecules to break. This can cause sunburns and cancer which is why we wear sunblock. Microwaves, on the other hand, are at a lower frequency than visible light. Just like all light, they contain energy, but instead of being enough to break bonds, microwaves cause molecules to rotate. The microwaves that we use are targeted toward rotating water molecules which causes our food to heat up. All cooking (heat) changes the molecular structure of our food. When you fry an egg, you are breaking some of the intermolecular interactions and denaturing (unfolding) the proteins. This is why cooked food remains different than raw, even after it cools. However, there is no reason to believe that a microwave would change the molecules in any more dangerous way than an oven or stove top. You may want to avoid direct, long term, exposure of your body to microwaves, but I personally also want to avoid direct, long term, exposure of my body to the heat of an oven. I honestly have no opinion on microwaves – they’re just a tool, lol – but I’m an analytical, data-driven person and thought this was super interesting. Thanks for sharing! Microwaves are controversial with scientific research data supporting both the pros & cons. This is similar to pharmaceuticals. Cons are they do scramble the molecular structure of foods in a manner unbenificial to the body despite what the Pro side says. They also leak bits of radiation which causes cancers with long-term exposure. Of course not everyone gets sick but the High Risk is still there. There have been a number of requests for an oven version but appears you have deliberately skipped responding? You may not have a personal view but a view is evident in you non response. Perhaps consider giving your followers a courtesy yes/no/maybe to providing a conventional oven option? Would be greatly appreciated. Actually if you look back there is a response. 15-17 in oven at 350. Look before you speak. Thank you for that explanation, Kristin. I get so tired of the whiners who won’t use microwave ovens because they “alter” the food. I have no kitchen, only a micro and a fridge, and that little oven has been a champion for me for 16 months. I cook nearly everything in it, and I don’t mean frozen dinners, either. I cook real food, knowing that the microwave ovens of today are safe, and are an excellent way to cook pretty much anything when one doesn’t enjoy eating out often. Yes! I’m so happy you loved it! I just tried this and it was absolutely delicious ! Thank you! I haven’t had a cinnamon roll in over a year and now I have an awesome substitute! I tried this tonight and plugged everything into my MYFITNESSPAL and it’s WAY more than 6g net carbs!!!!! I’m sooo upset… if I come out of Keto because you lied about the ingredients and measurements (599cals, 6net carbs, 14.4 protein and the fat) I’m gonna be pissed… seriously… this is BS!! Unfollowing you!! Thanks for nothing!!! It’s delicious Gretchen. And a first grader could up the micronutrients and check before eating. That person probably went over her daily allotment of something and forgot SHE (not you) is responsible for what she says, does and eats. Keep your great recipes coming! They’re awesome! And 2. It’s your responsibility to put in the ingredients and add it up on your own BEFORE you eat it. 3. Chances are you used a different brand than she did or you put in something wrong. Take some responsibility. I think this is great! Can’t wait to make it! I’m not even sure where the 6 net carbs come in at. In my estimation it’s more like 3 net carbs. The almond flour would account for 2 net carbs, egg has 1 net carb, and cream cheese 1 carb. The sugar substitute has 0 net carbs, butter 0 carbs, and all the other ingredients 0 carbs. 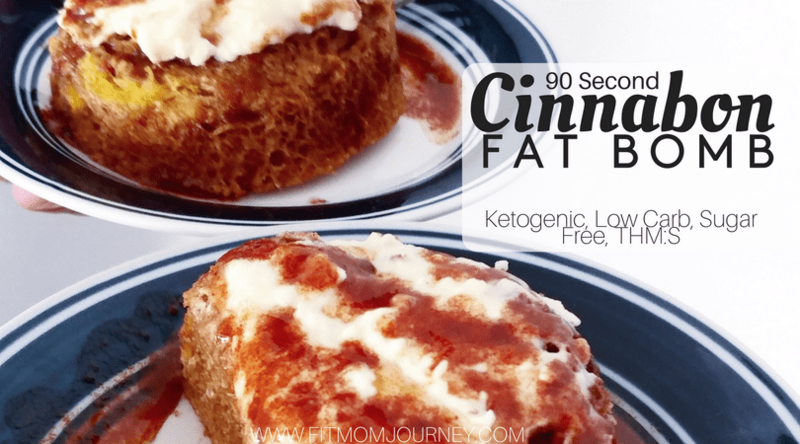 This recipe has no effect on your blood sugars or throwing you out of Keto. Carbs turns to sugar, what isn’t burned off turns to fat. I use Swerve in many of the recipes I find on line. I also entered my brand of ingredients into My Fitness Pal for this recipe and got 12 net carbs (20 total – 4 fiber – 4 sugar replacement). But then it occurred to me that My Fitness Pal doesn’t automatically calculate net carbs. When I paper/penciled it, my net carbs came out to 6.8 which is right on with what was given in the recipe. Good lesson learned to double check numbers by hand when there’s a question. The recipe was great and I will definitely have it again! I’m anxious to try some of the other mock cinnamon roll recipes as well! Thanks for sharing! Yeah, Carb Manager app says that her numbers are spot on other than the calorie count being just a bit off (my app says 616 calories), which can be because of a difference in brand entered into the app. Other than that, the carb count is absolutely right… and I assure you that this app is diligent about that since it is heavily used by folks doing carb specific diets. If you are willing to just make something without plugging it into MFP first, then it’s all on you. I’m pretty sure her goal is to share a low carb treat in an effort to HELP others, not sabatoge their Ketosis. 😂 This made me laugh. Thank you for sharing Gretchen! Thanks for sharing some good news about microwaves!! Didn’t know that…feel better ! WOW!! Cinnamon Roll in a Mug is oh so moist and delicious! I like to eat dessert after lunch instead of after supper. This is perfect, quick, easy and awesome flavor. We will be making this often! Thank you for sharing this fabulous treat! Very good! My experience with “90-second” items has not been outstanding, but this had good flavor. When I made the second roll I eased back a bit on the Truvia as I thought the first had too much sweetener aftertaste. Worked fine! Thanks! Delicious!!! Thank you for the great recipe. Curious what exact ingredients you used? 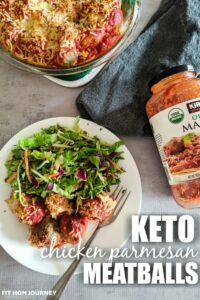 I followed your recipe and come up with 29 net carbs on 3 different apps. Would love to find a way to make it less. Am I doing this wrong? It smelled great but the texture was super weird, not fluffy or anything and it wasn’t real sweet. It was bland and almost a bit sour… Ionly had stevia not truvia but everything else was the exact same. So so good! Had this tonight for a treat. Do you think I could use the same recipe but use cocoa powder instead and make chocolate ones? We skipped the bitter glaze and didn’t miss it a bit!! Thanks for this yummy recipe! So glad you liked it! I haven’t tried it with cocoa powder, but I imagine it would work! 600 calories for a SNACK? That’s half my daily allowance. And 6 carbs is 1/3 of daily allowed. Really, Gretchen, don’t call them keto with those kind of numbers! 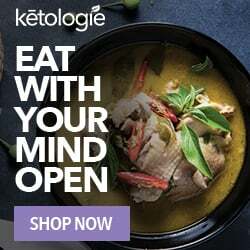 Very misleading to newcomers to keto. You should be eating more….1200 calories is too low for most people, it will actually slow your weight loss. I’m so glad you said that. Keto isn’t about limiting the calories like standard diets. It’s about feeding your body, and we NEED to eat enough. This recipe has helped me on occasion to get enough fats in and help keep me satiated. Also helps keep me from derailing! Thanks, again! This was the 3-4 time making this delicious treat! My hubs and I split it this morning. Love this quick and easy recipe for when I crave something sweet for breakfast. I needed a fat bomb tonight & just made this. OMG! It was delicious! Thank you! “1 T Lakanto Classic” . — what IS that? sounds like a brand name, but of what? It’s a brand of Monkfruit. The granules versus the confectioners sugar. Just looked this up on iHerb (which has the best prices for all vitamins and products needed for low cab lifestyle). Here’s the link. I guess it is a sweetener like Swerve or erythritol. Same money. Go to iHerb. Holy moley! This is so delicious! Follow the steps and don’t shortcut the the icing and glaze, lol. I did. I was afraid it would be too sweet but it’s amazing. I used erythritol for the cake and icing and 50/50 erythritol & powdered stevia for the glaze. I have tried this recipe twice, and had good luck both times. I don’t have almond flour so I substituted coconut flour, 2T, and I was looking for a little extra fiber so I added ground flaxseed, 1T. I find it to be a little dry and it could be the almond flour. I’m going to add a little coconut oil next time I make it. But all in all it is is a five star recipe for keto. With the macros be if you didn’t do the butter glaze could you supply me with those for just the cake part? Also use the white chocolate cream cheese fat bomb dessert stuff for my icing so my macros will be different it was still delicious though! We loved this! 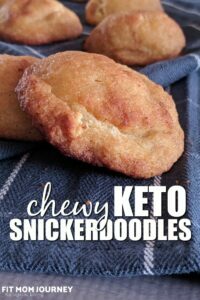 I just started keto and wanted to try something super easy. I did half of the cinnamon and half of the stevia, next time I’ll follow your lead go full on! I also skipped the icing and drizzle altogether, didn’t have the calories. Still loved it!!! Great texture, nice buttery flavor, super satisfying. Keep ‘em coming! I have tried lots of mug cakes and have not cared for any of them. This was the exception. I shared with my husband and we both agreed it tasted like bread pudding. Good bread pudding. I used Swerve for the sweetener. I didn’t have cream cheese (fail) so I just used the butter glaze and OMG, good stuff. I think I will try to split the batter between two ramekins so that i’m not consuming so many calories in one swerving. We’ve been doing low carb for 6 months now. This is by far our absolute favorite dessert. The only thing I changed was doing 2 T almond flour and 1 T coconut flour. My husband and I share it. Sooooo good!! Thank you! This is seriously mind-blowing. Best thing I’ve had since starting Keto 2 months ago. Most Keto recipes you’re like “yeah, this is good, because I haven’t had a brownie in 2 months and I forgot what they’re supposed to taste like”. But WOW. This tastes like a real cinnamon streusel coffee cake. You could serve this to non-ketonians and they would have no idea. 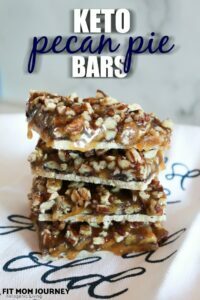 Finally a quick low-carb fix for my sweet tooth! The cake and butter topping was great! The cream cheese frosting was unpleasantly too sweet and I scraped it off. I use confectioners Erythritol as my sweetener and have to double up on measurements. Worked well for the cake and butter glaze, but not the frosting. The only change I did was added a tiny bit of heavy whipping cream to make the frosting more smooth. 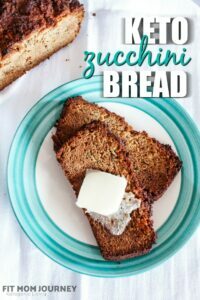 I can enjoy this without the frosting and shave off 1 net carb and prepare 1 less ingredient quicker, so that’s even more awesome! Thanks for the recipe! I’ve been having a craving for sweets and was looking for something I could eat without any guilt. I’ll give it a chance. THIS WAS SO DELICIOUS! WOW! I’ve tried several mug cakes but they were always kind of dry and just ok. This is genuinely delicious. Thanks so much for the recipe. I’ve made several cinnamon mug cakes and I have to say this is absolutely the BEST!! Thanks to you I’ll search no longer. Most others are dry, but yours have the perfect measurements. made this today. husband approved. I did a couple of tweaks. I added a dash of vanilla and 2 crushed pecans to cake batter. than 2 more crushed pecans to melted butter topping. will make again! This is one of my favorites!! So good, and have made it 3-4 times in the past 5 months. I usually eat 1/2 and save 1/2 for next day. I’ so glad you love it! This was incredible! I added a touch of salt, a splash of vanilla and half a teaspoon of melted butter to the frosting and wow it was out of this world! This one’s a keeper !! This is soooo good! I added pecans the second time and made one for my diabetic hubby and he really loved it. Used liquid monk juice for the butter sauce and cream cheese topping and it was still amazing. For 2 cakes I cooked for 2 min 20 sec. For those who are subbing coconut flour, almond and coconut flour are not fully interchangeable. You’ll need less coconut flour or it’ll be too dry. I loved this recipe. It was good even without the glaze or icing, although I did enjoy the glaze (with added pecans, because I love pecans!). Super moist and delicious, and perfect with a fried egg on top for breakfast! I don’t use the microwave. Do you know how long and what temperature to bake it in the oven?